Cats and dogs really like to play with fun balls, but what about other animals? Well, they pretty much have the same attitude, so there’s not much of a difference. In fact, between wild animals and pets – all you need to do is choose the appropriate size of the round playthings. 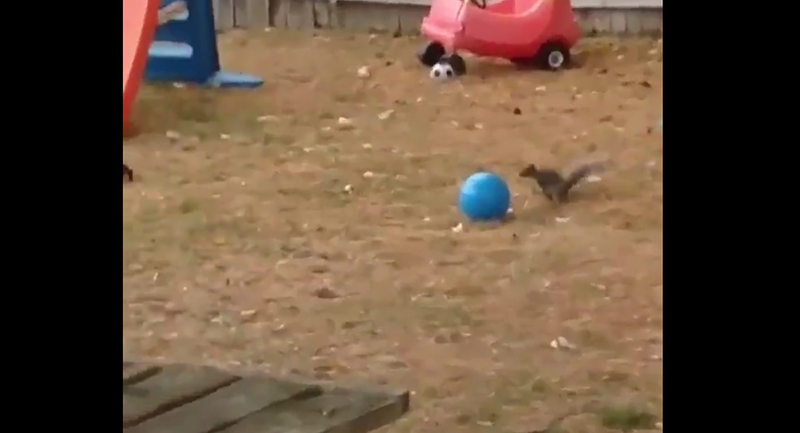 Look at this squirrel, running and jumping so joyously! It seems like it must've been watching someone else playing with the ball, as it knows exactly what to do with it — the critter just starts fooling around with the toy without any hesitation at all! — Snezana🌷 (@SnezanaJevticBg) 13 апреля 2019 г.